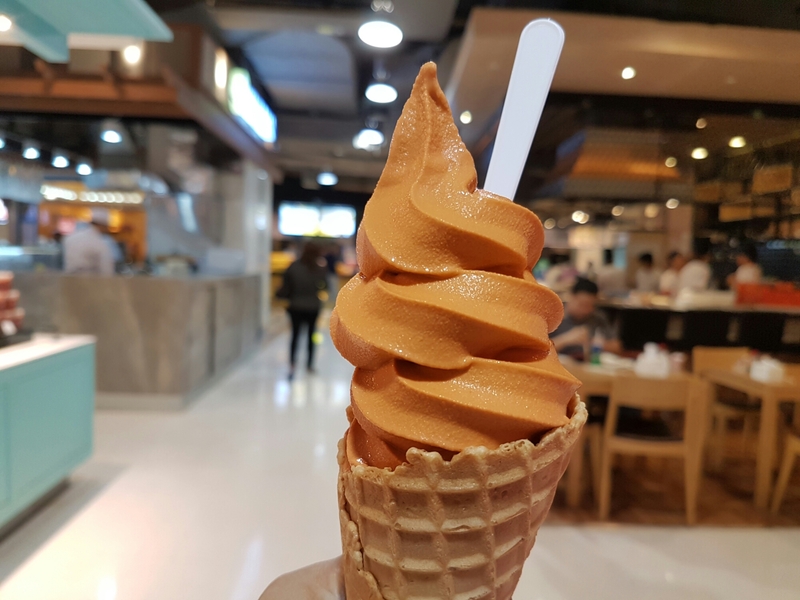 So, Cha Tra Mue, purveyor of the world’s best Thai Tea, thought of creating Thai tea-flavored soft serve ice cream (45 THB). It is so delicious! My thoughts and feelings are now torn between this and Matcha soft serve ice cream. Thank goodness they’re food, thus I can have them both without hurting anyone. Cha Tra Mue also offers Thai Ice Tea and other tea-based drinks. They’re located at the lower ground floor of Terminal 21 mall on Sukhumvit Road, Bangkok. I have a might need to try this ice cream.